This project aims to investigate the development of path planning strategies optimized for the case of underground environments exploration. We look for a path planning strategy that presents three behaviors in relation to if the setting is a) like a man-made tunnel (e.g., an underground mine), b) a multi-storey urban facility (e.g., a metro subway) or c) a natural cave. The methods must be computationally efficient and exploit the history of observations of the robot. Due to the complexity and multi-branching geometry of underground environments, a critical aspect of the solution is that of understanding of exploration completeness. This project investigates the potential of ground-and-aerial robot collaboration for underground environment exploration through specifically emphasizing on the potential of aerial-on-ground robot ferry. As such, a ground vehicle characterized by superior performance should only deploy its flying companion when this navigation modality is crucial for the mission success and contributes the most it can given its limited flight time. We seek both the methods to decide the collaboration strategy and students involved in the relevant mechatronic design. This research aims to enhance the navigation abilities of aerial robots in confined/narrow environments by enabling them to stably establish contact with surfaces of their environment. 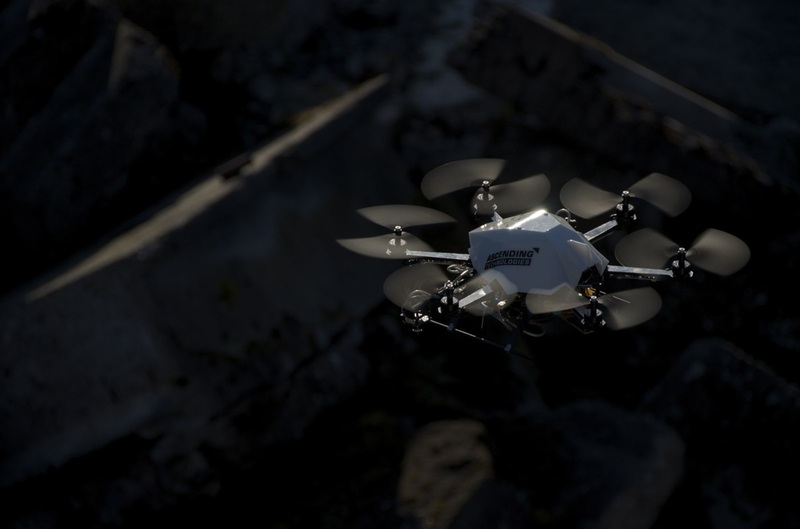 More specifically, a Micro Aerial Vehicle will be enhanced with specialized mechanisms for physical interaction (extensions) and a software framework for control in confined spaces by exploiting contact. Force feedback at the end effectors will facilitate stable and sustainable physical interaction. This research direction plans to radically change how flying robots navigate through narrow environments such as ore-passes or manholes. 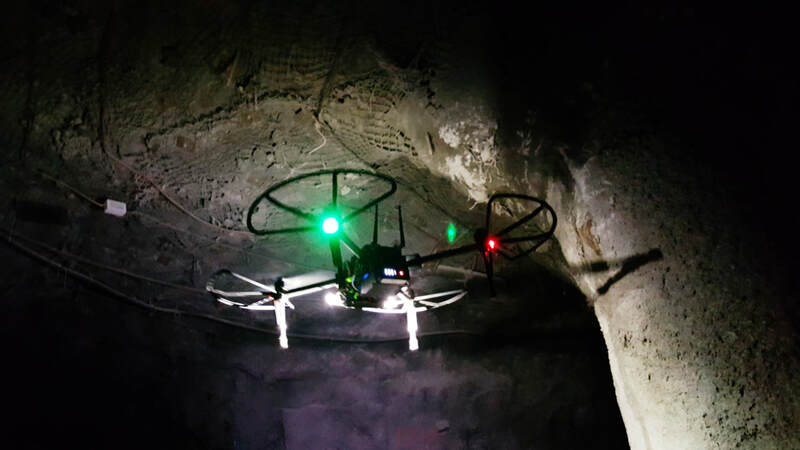 This research aims to investigate a last-resort collision-avoidance mechanism that is implemented onboard an aerial robot aiming to navigate complex underground settings. The method should employ different sensing modalities in order to provide robustness and satisfactory performance even in visually-degraded conditions. In particular, the combination of visible camera data and LiDAR ranging is considered as a starting point. Ideally, the designed solution should not assume that a reliable pose and map estimate is available and enable reactive avoidance even in the most degenerate cases. Autonomous robots are commonly tasked with the problem of area exploration and search for certain targets or artifacts of interest to be tracked. Traditionally, the problem formulation considered is that of complete search and thus - ideally - identification of all targets of interest. An important problem however which is not often addressed is that of time-efficient memoryless search under sparse rewards that may be worth visited any number of items. In this work we want to address the largely understudied problem of optimizing the "time-of-arrival" or "time-of-detection" to robotically search for sparsely distributed rewards (detect targets of interest) within large-scale environments and subject to memoryless exploration. This project aims to develop a comprehensive simulation environment for testing ground and flying robots for autonomous navigation in subterranean environments. It will be based on Gazebo and ideally should also allow for some type of Hardware-In-the-Loop functionality. It will develop on top of the Gazebo-based simulator of subterranean environments provided by DARPA. In a large variety of degraded visual environments, robotic classification of objects of interests becomes particularly hard due to the impaired sensor data. Especially in the case of darkness and obscurants, classical visible spectrum cameras and associated techniques are rendered ineffective. The goal of this project is to investigate the potential of using thermal vision camera data for the purposes of object detection and classification. Thermal vision is unaffected by darkness and can penetrate certain types of obscurants therefore offering a viable alternative. The envisioned research relates to the associated machine learning methods for high accuracy results on thermal vision. It involves both the steps of data annotation, alongside neural network design and training. In this project we consider the problem of developing a small and cost efficient robot for undergound navigation. A leg-wheel robotic design is proposed on the basis of the combined simplicity and ability to overcome rough terrain that these mechanisms present. The research and development tasks of the project relate to the mechatronic design, automated and control and autonomous navigation solution for such a robotic platform. In this project we question what is special and specific to the vision system of specials (from animals to insects) living underground. 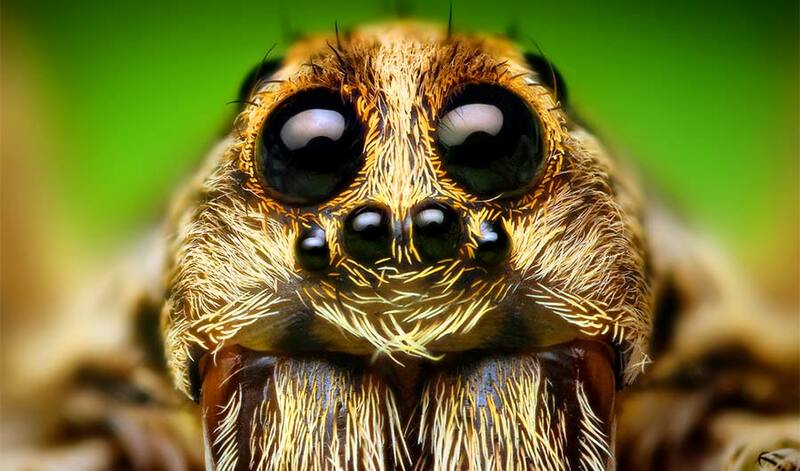 Good examples include the wolf spider or beavers. The emphasis is on literature study on the specific domain and derivation of conclusions on how certain principles may apply to robotic vision systems both in the sense of hardware and algorithms. It corresponds to a project that will lay the ground for many subsequent investigations to follow. Lightweight depth perception is critical for underground navigation as it allows small systems (which can go through tight spaces) to proceed autonomously. Camera-based solutions are ideal but depth perception on monocular is ill-conditioned. In fact, visible-light cameras soon become degraded in the underground domain due to issues such as darkness and extreme dust. On the contrary, thermal vision penetrates darkness and obscurants. The goal of this project is to employ supervised deep learning to allow a pixel-wise depth value prediction from the thermal image given training in analogous environments. Robotic systems are not bound to operate alone. In this project the goal is to enable two robots to perform GPS-denied localization in a collaborative manner and simulatneously map their environment. Both robots will be equipped with a visual-inertial sensor. The problems of data association and establishing a common reference frame will therefore have to be addressed. In the very near future, cars are expected to be fully robotized and offer us back a critical subset of our time, while ensuring optimal safety. But for this goal to flourish, critical technologies have to be developed. Within this project, the goal is to enable fast and efficient pedestrian detection, intent recognition (prediction of expected trajectory) and subsequent planning of control actions for a car so as to avoid the pedestrian. A combination of visual and LiDAR data will be utilized for the optimal achievement of this goal. LiDAR technology has been particularly succesfull in enabling robots to localize themselves in GPS-denied environments. However, in most such cases the corresponding sensors are both expensive and of some significant weight. 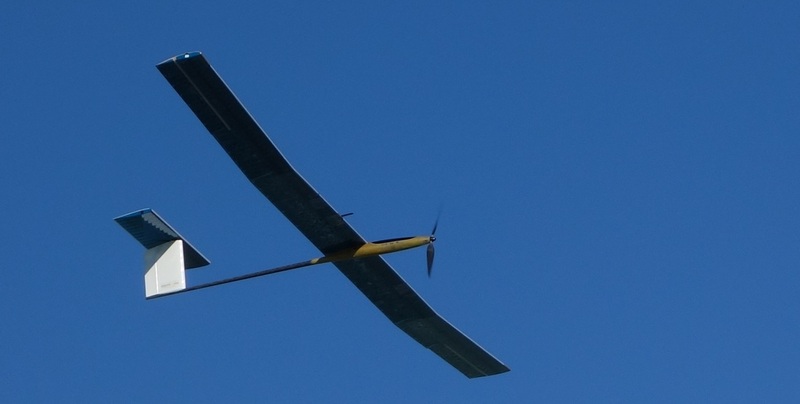 Nowadays, there is a lot of research towards the development of solid-state LiDAR systems. In this project, the goal is to develop a localization pipeline that will be efficient given the data provided by such a system, exploit its particular properties and deal with its limitations. This project aims to develop a GPU-based architecture to enable the real-time, efficient and robust semantic classification of objects within the environment. The goal is to contribute a new approach that exploits the superior abilities of GPUs for parallel computing and eventually allow the real-time classification using both 2D and 3D information as provided from the sensors onboard a small aerial robot. To that end, an embedded GPU system is also employed. For the autonomous cars to be able to satisfy their promise, they have to be able to deal with all environments. Among others, driving on snow and ice corresponds to a great challenge for the control, planning and perception loops of the robot. In this project, the goal is to utilize a small ground robot in order to develop the relevant control and planning algorithms and deliver a library for autonomous driving on snow and ice.